I'm always filled with such inspiration after spending a full day in my Shop... The people that I'm blessed to encounter, engage my creative side which is truly invigorating. You are so lucky that you love what you do Jodie, and it provides a nice balance for you in between family stuff and work stuff. I used to knit for a lady who sold premmie baby clothes for dolls, but after a few months it just was too much and cut into my own knitting space and became too much work so I gave it up. Lucky you have customers that want really beautiful things. 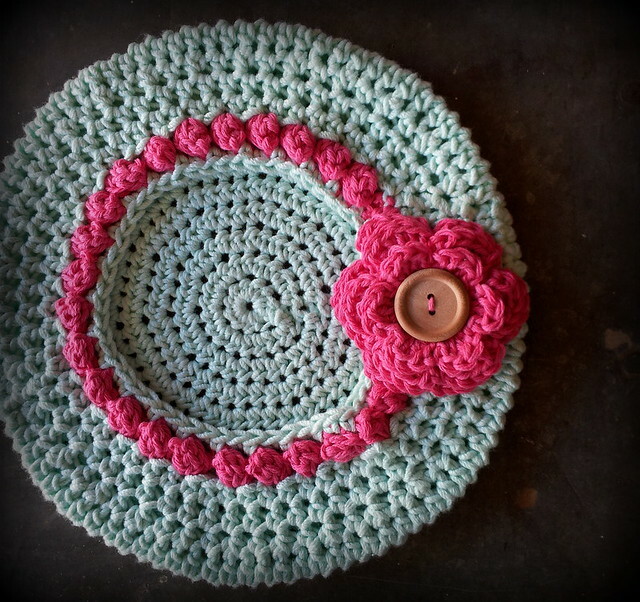 I love the beret with the crocheted flower! I think that is so wonderful that you have a shop of your own. I can't work full time anymore but for 2 days a week that would be wonderful. What enriches my soul is staying home actually and being able to be totally in charge of my days now that my children are all grown. The perfect setup for me would be to have a little apartment upstairs and a shop downstairs then all the "material" would be just a few steps away! LOL! Your shop sound wonderful. Right now, the support of my family in redoing my kitchen is enriching my life. Couldn't do it without them!